Edinburgh Castle at dusk. From the Grass Market, Edinburgh, Scotland. A dramatic mix of mediums are blended, layered and splattered over the canvas to produce a very atmospheric painting depicting the ever vibrant City of Edinburgh in Scotland. 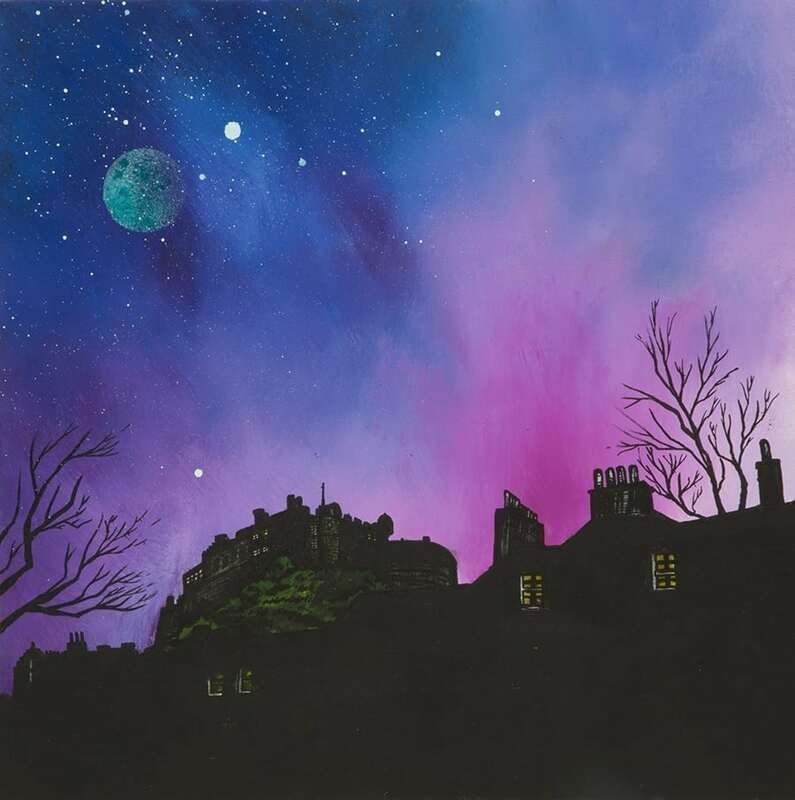 Many of my Edinburgh paintings are in a very striking graphic style with outlines against bright, vibrant spray painted skies. Painting and prints of Edinburgh Castle, Grass Market, Edinburgh, Scotland by Andy Peutherer. Edinburgh paintings, prints & commissions - Edinburgh Castle dusk From The Grass Market, Edinburgh, Scotland.